Although Call of Duty is now an annual event, like Christmas or cleaning out the gutters, the last time we saw a Call of Duty from Infinity Ward was three long years ago. Sadly, that happened to be the dreadful Call of Duty: Ghosts. Its single-player was a confused mishmash of ideas and uninspired shooting, barely recognisable from the brilliant highs of Modern Warfare, while the multiplayer was almost entirely bereft of new ideas. 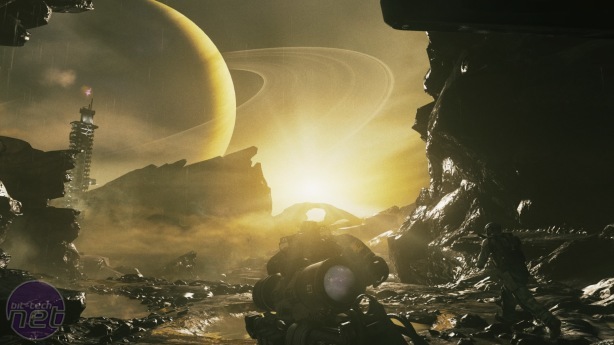 Infinite Warfare sees Infinity Ward trying hard to bring back the glory days of the studio, by transposing the action to a future scenario where humanity has colonised the solar system. The aim is clearly to achieve a repeat of Modern Warfare’s success, a spectacular redefining of what Call of Duty can be. The game even includes a Remastered version of the series’ high-point, almost as if to offer a point of comparison. Does it succeed? Not quite. But it’s fascinating watching it try. In single-player, Call of Duty is the best it has been for years. 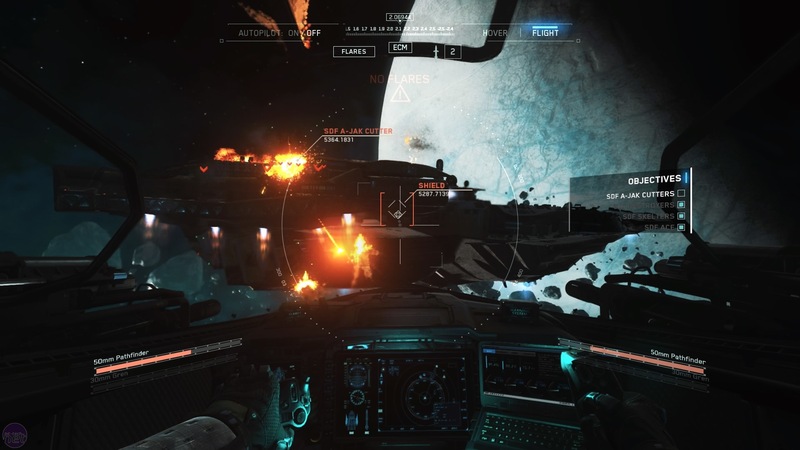 The campaign is a thoroughly entertaining mixture of the familiar running and gunning, and arcade-like spacecraft combat. 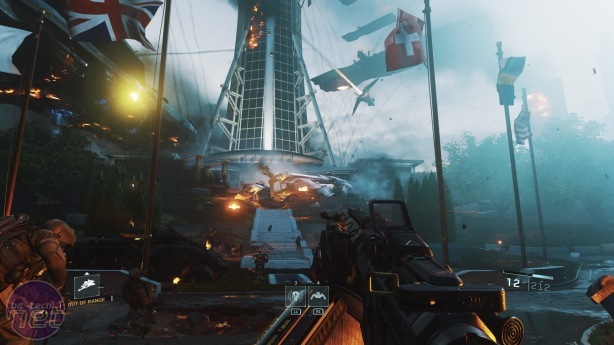 In multiplayer, however, Infinite Warfare still struggles to compete with the bombast of Battlefield or the innovation of Overwatch, despite taking many cues from the latter in terms of how it plays. For now, let’s focus on the good. The campaign places you in the jumpsuit of Captain Nick Reyes of the United Nations Space Alliance, Earth’s collective interstellar army. The UNSA are embroiled in an ongoing conflict with a terrorist organisation known as the Settlement Defence Force. After the SDF launch a devastating attack on Earth during a military parade in Geneva, Reyes is appointed captain of a damaged warship named Retribution, and is charged with leading the fightback against the SDF’s leader Salen Kotch. What results is an action-packed tour of the solar system, with missions that range from a blistering assault on a cargo port on the Moon, to a spec-ops raid on a refuelling station on Titan. I say 'missions'; one of the most interesting aspects of Infinite Warfare’s campaign is that it attempts to make the action as seamless as possible, with no breaks for loading between one mission and the next. Indeed, many missions are several scenarios blended together. For example, the mission to reoccupy the Moon’s cargo port is immediately followed by a space dogfight against SDF ships, and then a Zero-G infiltration of a capital ship to steal back a weapon prototype. All of this occurs in a single sequence without a loading screen in sight. 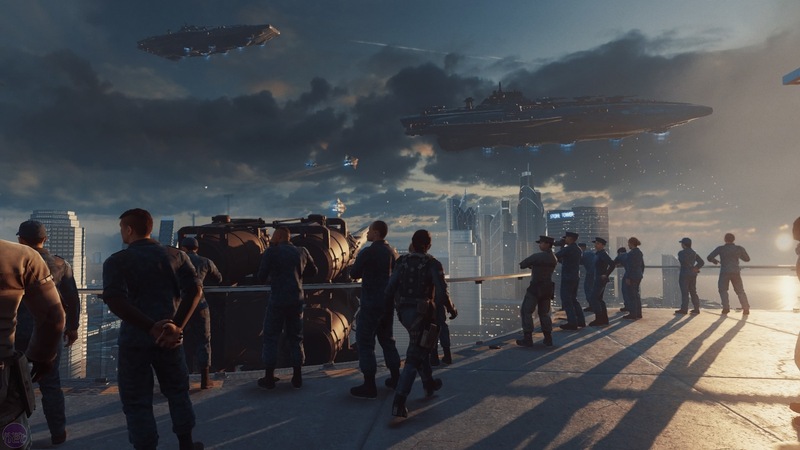 Another significant change from previous Call of Duty’s is, rather than constantly flitting between ideas, Infinite Warfare focusses on two or three main mechanics. Namely, these are the standard on-foot shooting, space-combat, and Zero-G combat. Of these, the Zero-G combat is probably the least successful, as Call of Duty’s cover shooting doesn’t work particularly well in an environment where attack can come from literally any direction. The space combat, however, is a huge amount of fun. Dogfighting with enemy fighter aces is a particular joy, as you try bring your guns to bear on your opponent while weaving breathlessly through asteroid fields, or skimming across the flak-spewing hulls of gigantic starships. The flight simulation isn’t particularly complicated. Enemy locks can be easily broken, and incoming missiles dismissed with a burst of flares. But it feels wonderful regardless. Even the standard on-foot shooting boasts a few neat ideas. Weapons are a combination of traditional bullet-spewing death-sticks and pew-pew laser rifles, the latter of which are particularly effective against robotic enemies. There's also an abundance of fun gadgets, ranging from the spider-like “Seeker” grenades, which scuttle along the floor and attach themselves to an enemy, to a hacking device that enables you to pry into the camera system of an enemy robot, assume control of it and blast your enemies from behind. 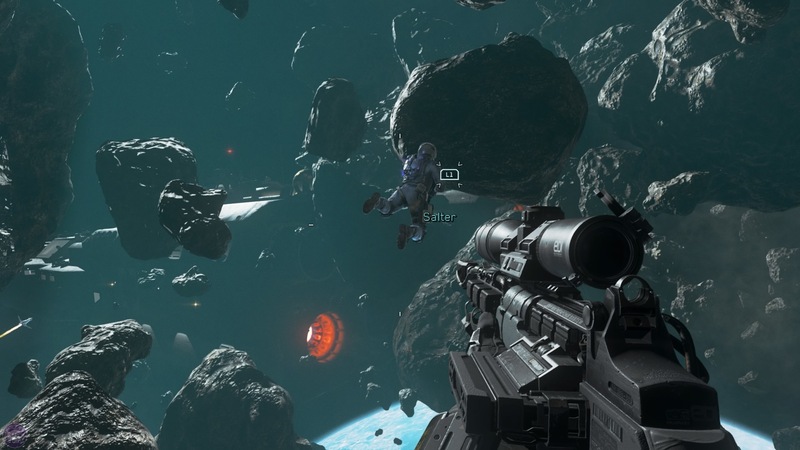 Infinite Warfare also adopts the booster pack from Advanced Warfare, enabling players to double jump and run along walls, although the single-player’s heavy reliance on cover means it’s difficult to use these abilities without being shot to pieces.